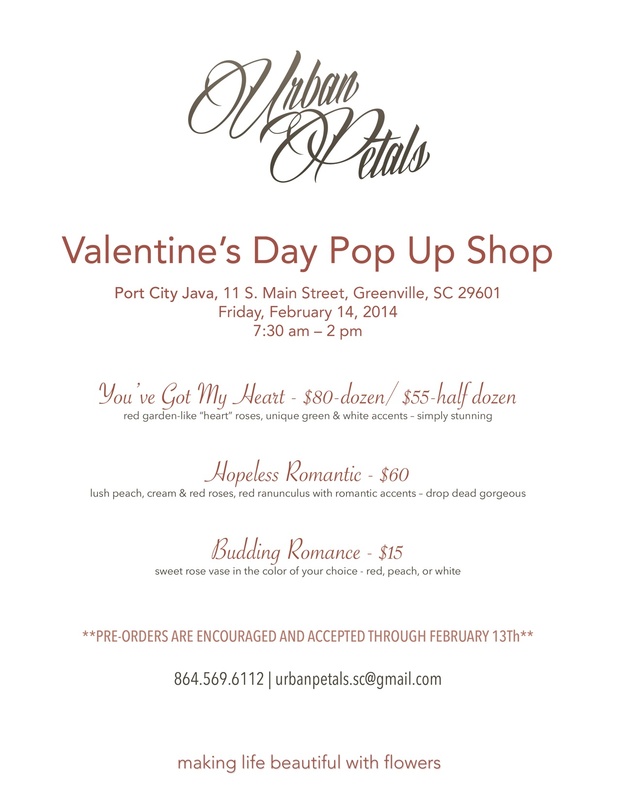 Urban Petals is pleased to announce our 2nd Annual Valentine’s Day Pop Up Shop. We’ll be set up in downtown Greenville on Valentine’s Day at Port City Java with loads of drop-dead gorgeous flowers!!! I would encourage you to place a pre-order as soon as possible. Pre-orders will be accepted through Thursday, February 13th. Below is a preview of this year’s specials. If paying by credit card, please call Anna at 864.569.6112 with your payment information. *Payment is due at time order and is non-refundable.